The wait is over. 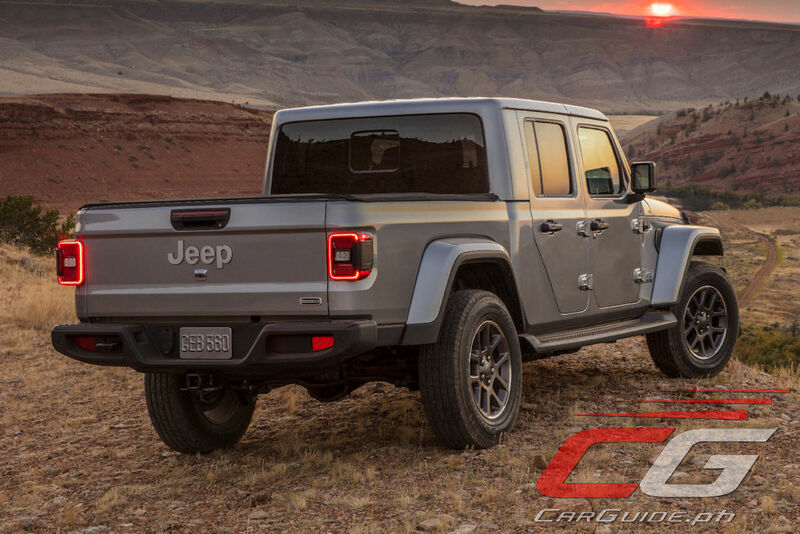 After countless leaks, spy shots and speculation, Jeep has finally confirmed the car industry’s worst kept secret: the return of the Wrangler pickup truck. 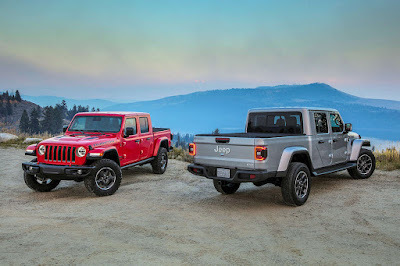 Playing up their heritage of unmatched toughness, iconic design, and best-in-class towing and payload, this is the 2020 Jeep Gladiator. The Jeep Gladiator boasts of a design that’s immediately recognizable. 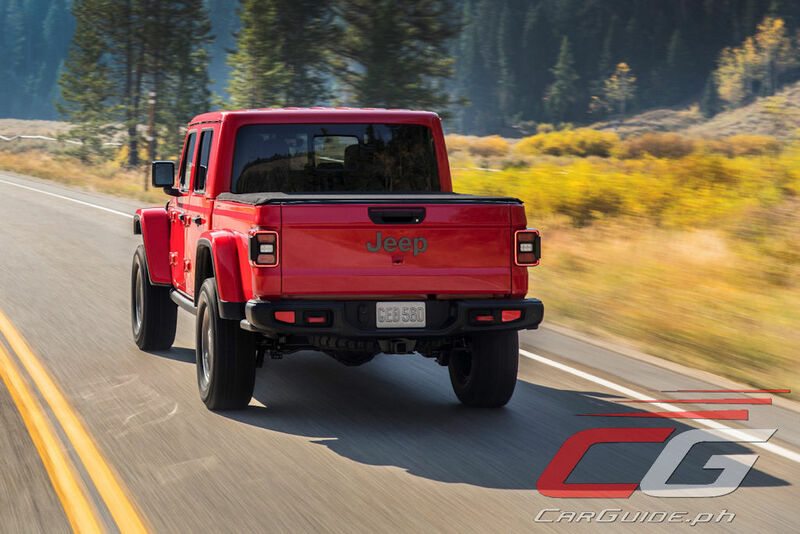 Upfront, it keeps the seven-slot grille seen on the Wrangler but widened for additional air intake to assist with increasing the payload capacity. Features include LED headlights and fog lights as well as taillights. 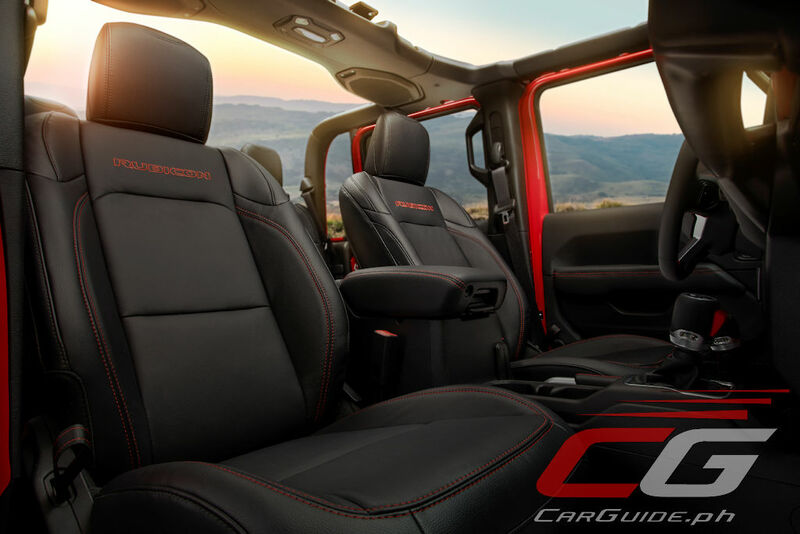 Like the Wrangler, the Gladiator’s windshield is foldable while the doors are removable. 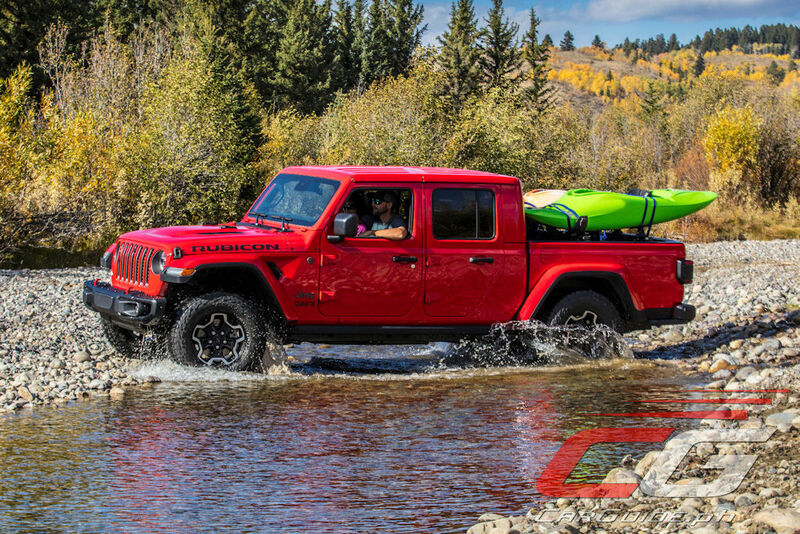 Over to the business end, the Gladiator’s cargo bed opens flat and wide, and is damped capable of stopping in three positions. It also has a power lock to easily secure cargo. Meanwhile, the spare tire moves underneath and can accommodate even a 35-inch tire. 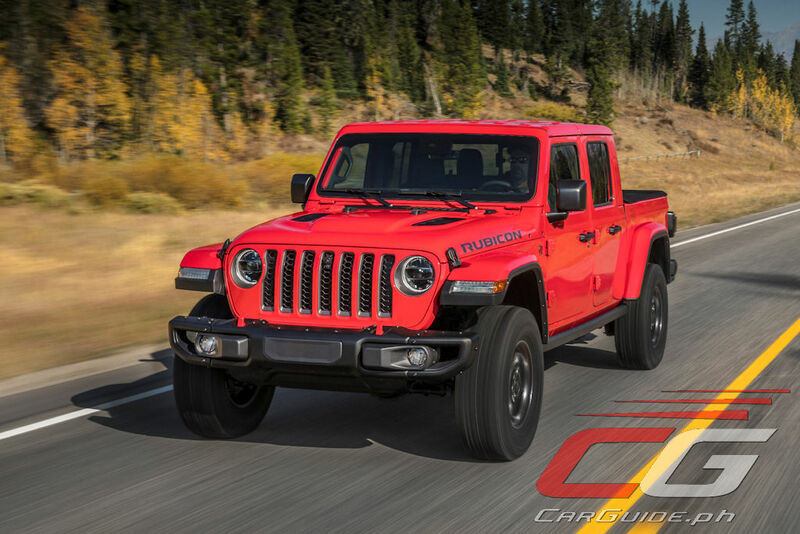 Compared to the Wrangler JL 4-door, the Gladiator is 787 millimeters longer with a wheelbase stretched by 492 millimeters. 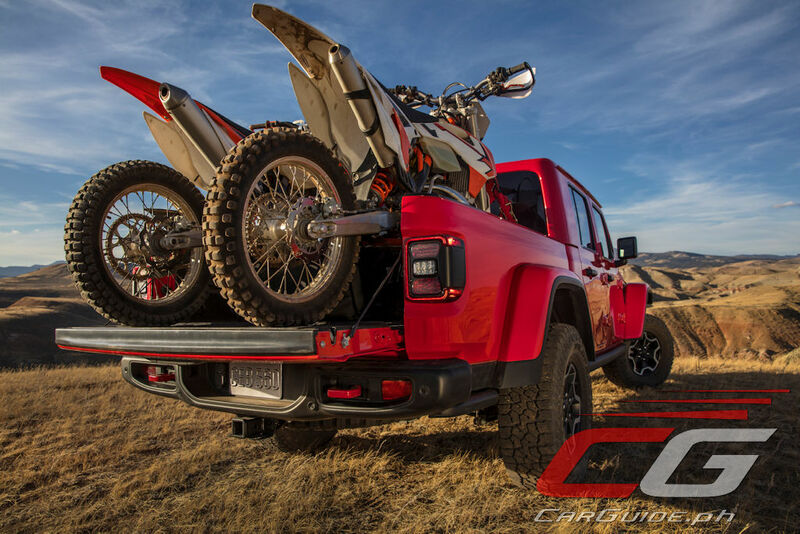 The longer wheelbase and the bed’s positioning center aft of the rear axle centerline enables for better weight distribution and a more comfortable and composed ride when carrying cargo. The prop shaft, brake, fuel lines, and exhaust system were lengthened to accommodate the changes. 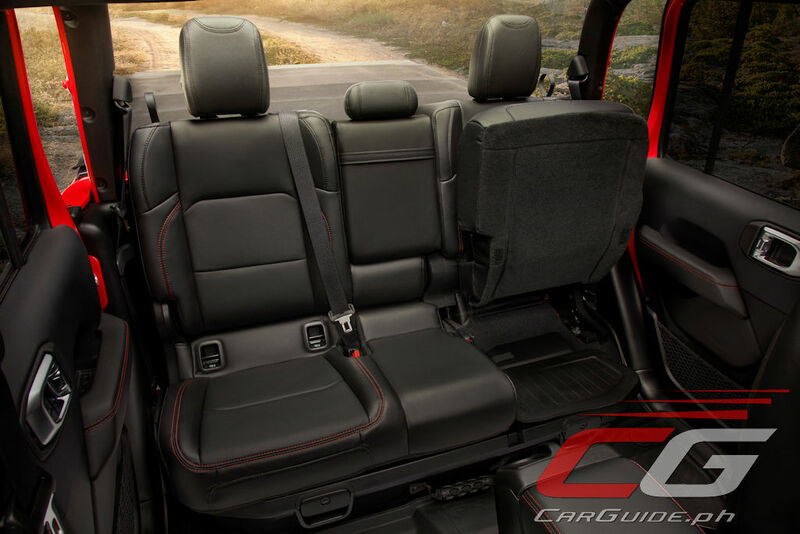 Inside, the Gladiator features a clean, horizontal cabin keeping in tune with the Wrangler. All the controls, including the media charging and connectivity ports have been designed for quick recognition and easy reach of both the front-seat occupants. The Gladiator also has a push-button start/stop. 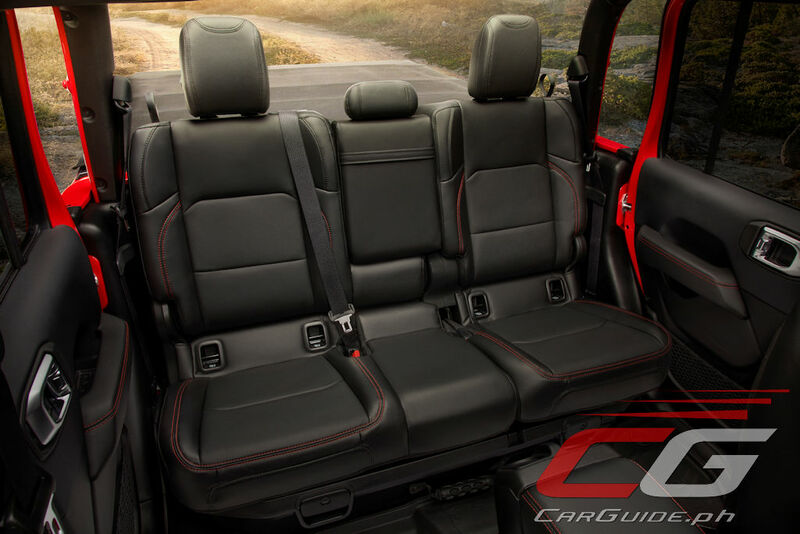 Over to the rear seats, Jeep says that the Gladiator boasts of best-in-class legroom and uses a unique design allowing it to provide secure storage behind the seat back. It can also be folded back to access cab-back storage and provide a load floor for longer items. 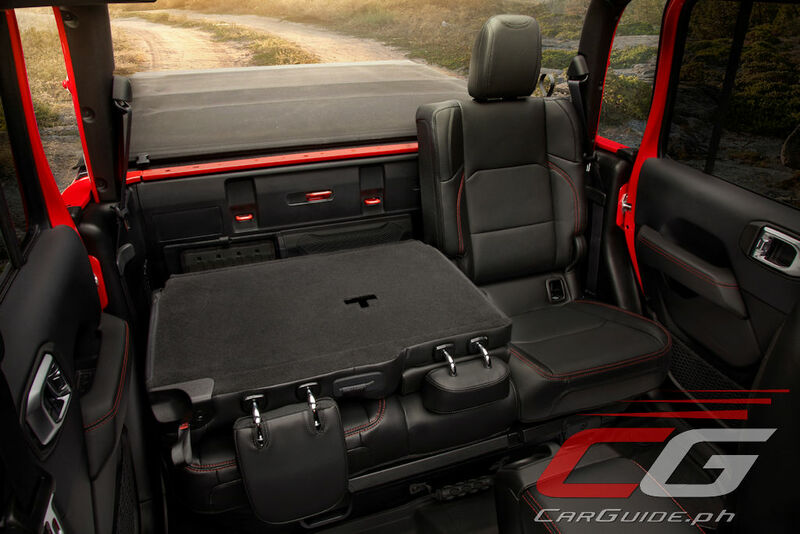 The rear seat cushions can fold up into a “stadium” position to reveal a storage bin, which utilizes the space under the seat for stowing small items. 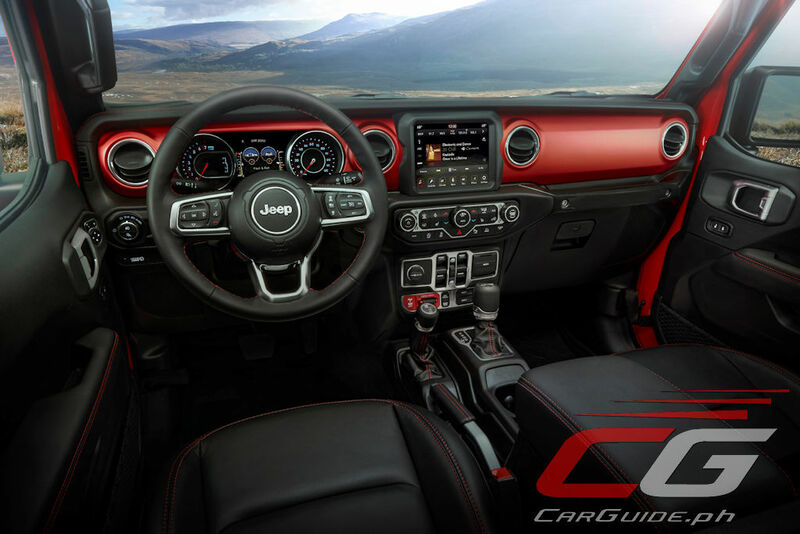 Initially, Jeep will offer the Gladiator with a choice between two powertrains. 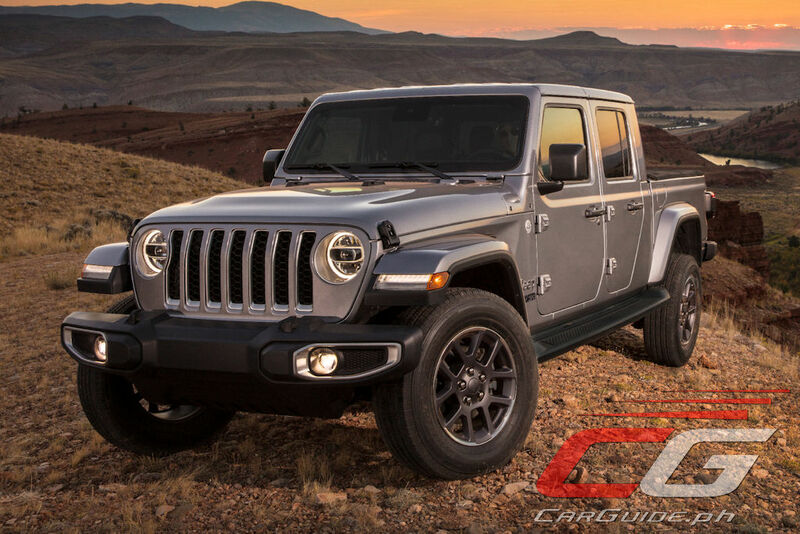 The first is the 3.6-liter Pentastar V6 making 285 horsepower and 352 Nm of torque. A six-speed manual is standard with this engine while an 8-speed automatic is optional. Moving up, a 3.0-liter EcoDiesel V6 is also available. This one is rated at 260 horsepower and 600 Nm of torque. Because of its copious torque output, the 8-speed automatic fitted to this engine has been beefed up. 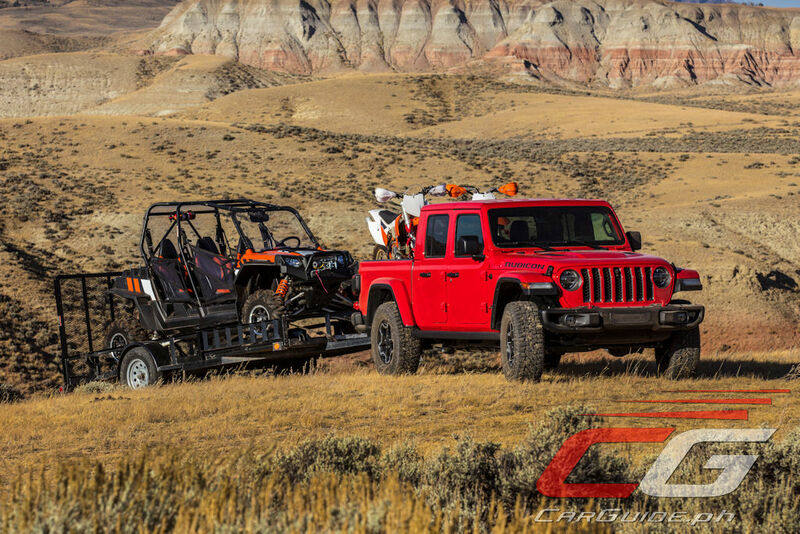 For its 4x4 capabilities, the Gladiator comes standard with the Command-Trac 4x4 which has a two-speed transfer case with a 2.72:1 low-range gear ratio, and heavy-duty third-generation Dana 44 front and rear axles with a 3.73 rear axle ratio. Moving up, a Rock-Trac 4x4 arrives for those wanting a far more robust system. 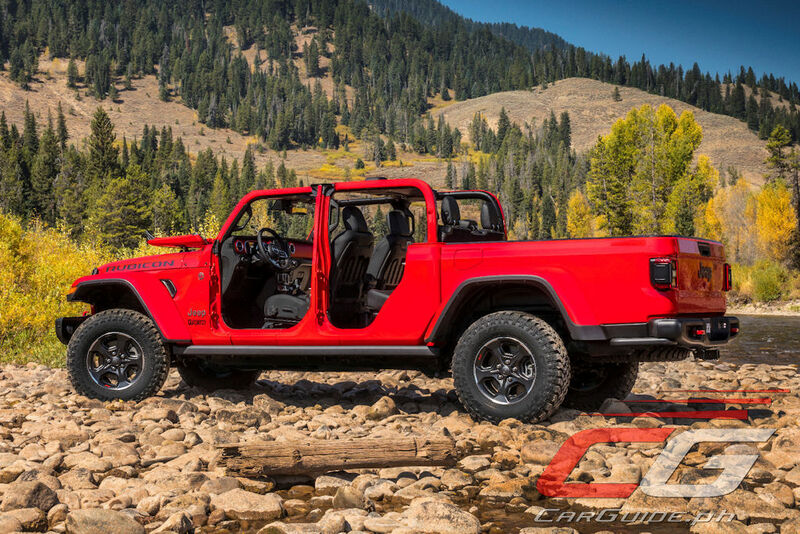 Fitted with heavy-duty Dana 44 front and rear axles with a “4LO” ratio of 4:1 Some models offer an electronic sway-bar disconnect improving its suspension articulation even more. Number-wise, the Gladiator has 43.6 degrees approach, 20.3 degrees breakover, and 26 degrees departure angles. Ground clearance sits at 281 mm while water fording depth is at 762 mm. It can tow up to 3,570 kilograms and carry a payload of 726 kilograms. 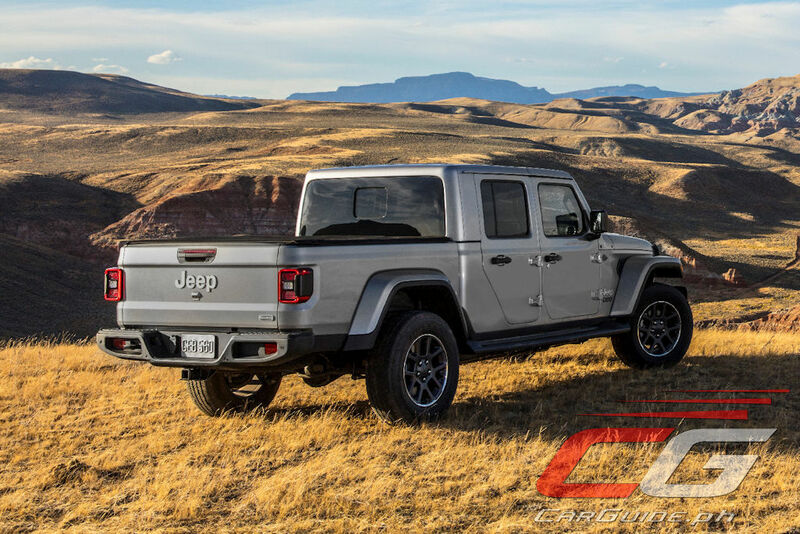 Arriving in the US first in the second quarter of 2019, Jeep’s Philippines distributor, Auto Nation Group could potentially bring in the Gladiator model here locally given that the current vehicle excise tax is favorable to pickup trucks. If that’s the case, expect the local market Gladiator to arrive no earlier than late 2019 or 2020. How Much in philippine Peso?